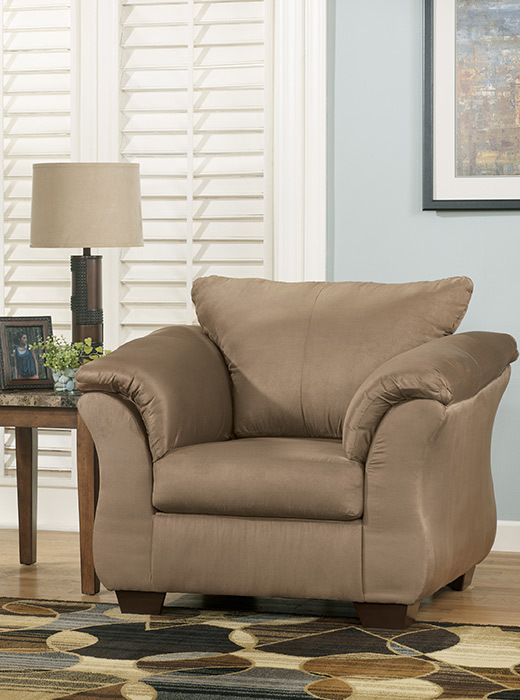 Ashley Darcy Chair in Mocha. 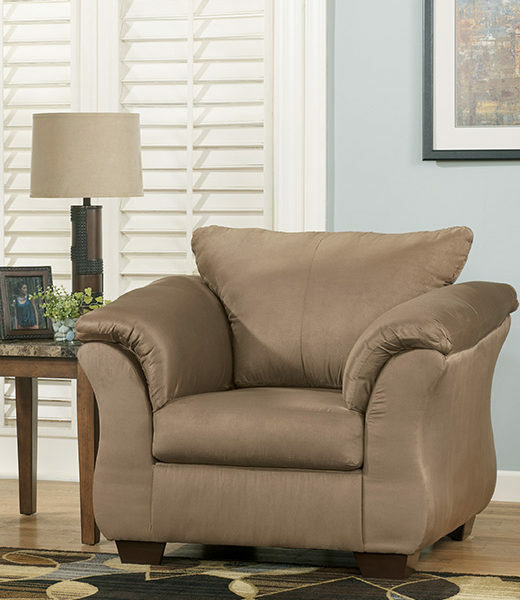 Comfy pillow top armrests with ultra-soft upholstery. Holds up to everyday living. All fabrics are pre-approved for wearability and durability against AHFA standards. Polyester 100%.